Multi-dose and transportable packaging for cornflakes. 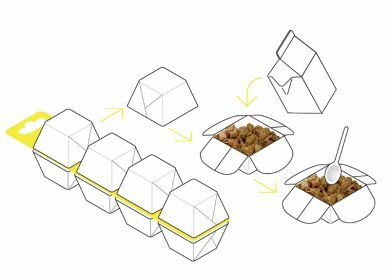 The container is made of white folding carton with a polythene film, so that it is water-resistant and it allows the user to consume the product directly in the package. The external surface is rough, opaque, textured and embossed in order to render the tactile perception of cereals.